There are many exciting new features in the 2018 model of Coachmen Freelander Class C Motorhome. 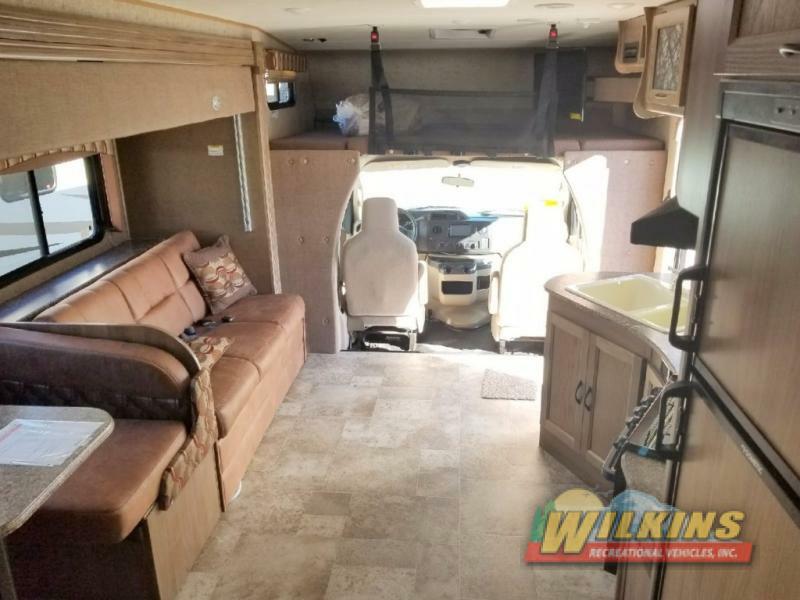 Not only are the various Coachmen Freelander Floorplans designed to accommodate a variety of camping needs, there are many new features that makes this motorhome really stand out from the crowd. Starting with the exterior, the Coachmen Freelander is constructed using Adzel composite in the sidewall construction. This wood free protective layer uses a blend of polypropylene and fiberglass, creating an extremely strong and lightweight wall with superior insulation qualities. No more worry about wood rot! Larger Tanks And Solar Panel Prep Are Ideal For Dry Camping! Another major difference of the Coachmen Freelander, in comparison to other Class C RVs in it’s class, are it’s tank sizes. The 2018 Freelander is designed to give you more freedom during your travels. Spend more time camping in remote areas thanks to the extra large 50 gallon fresh water tank. That’s 20% larger on average than it’s competitors! The Freelander is also equipped with 68 pounds of LP, which is among the largest in the industry making this motorhome ideal for dry camping. Another added feature that is helpful when camping off the grid is the Coachmen Freelander’s solar panel prep. The 95 Watt solar panel, purchased separately, allows you to recharge your house batteries in 7-8 hours, depending on your location. Smallest Transition Step Between The Driver’s Cockpit and Living Area In The Business! Moving to the inside, the Coachmen Freelander has many other features that stand out. In addition to a wide variety of comfortable seating options, a fully equipped kitchen and plenty of storage, the Freelander maximizes it’s usable space in some unique ways. The Freelander has an inch and a half transition step between the driver’s area and the living area. This is the smallest transition step in the business. This small step makes moving from the front to back of the coach much easier and safer. This design also enables the option to have a driver or passenger chair that swivels around to face the cabin. 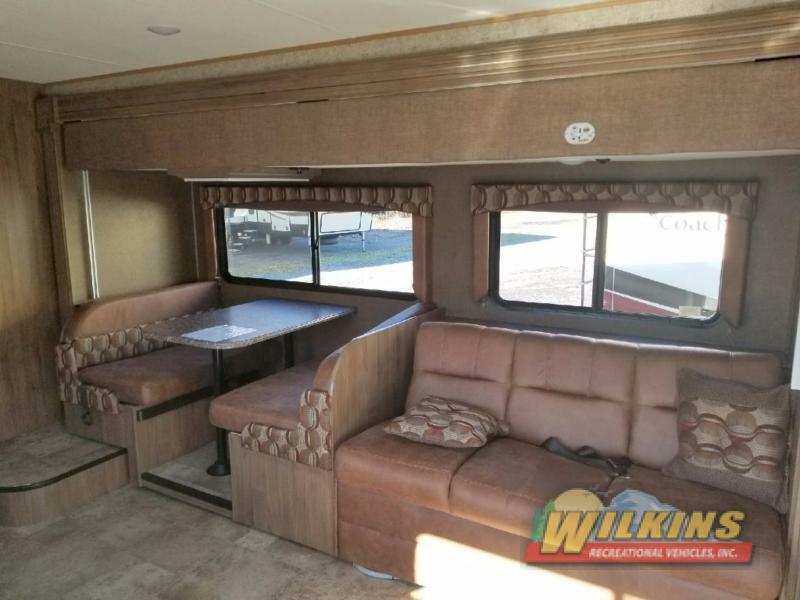 For extra sleeping space in a compact motorhome footprint, check out the Freelander 28BH with optional drop down salon bunk over the dinette and sofa. 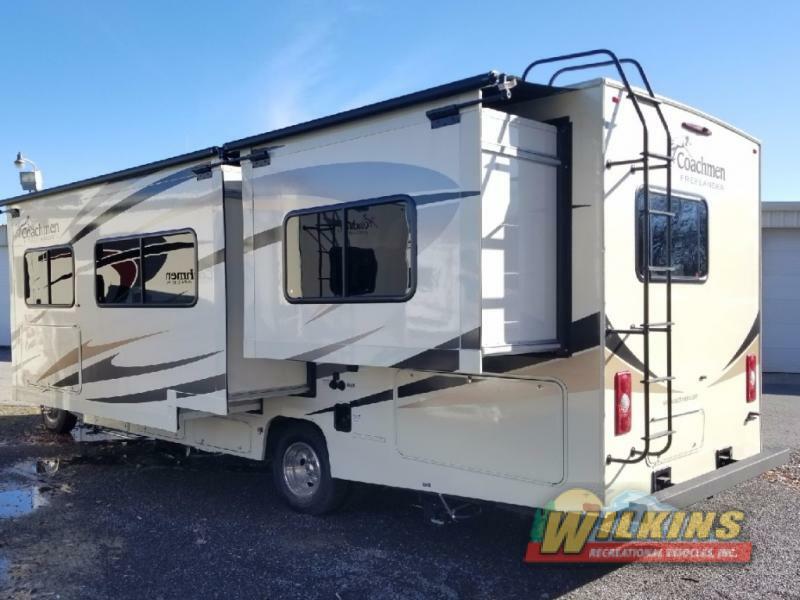 This clever floorplan is only 28′ 5″ long and comfortably sleeps 7, making this a great option for fun family camping. 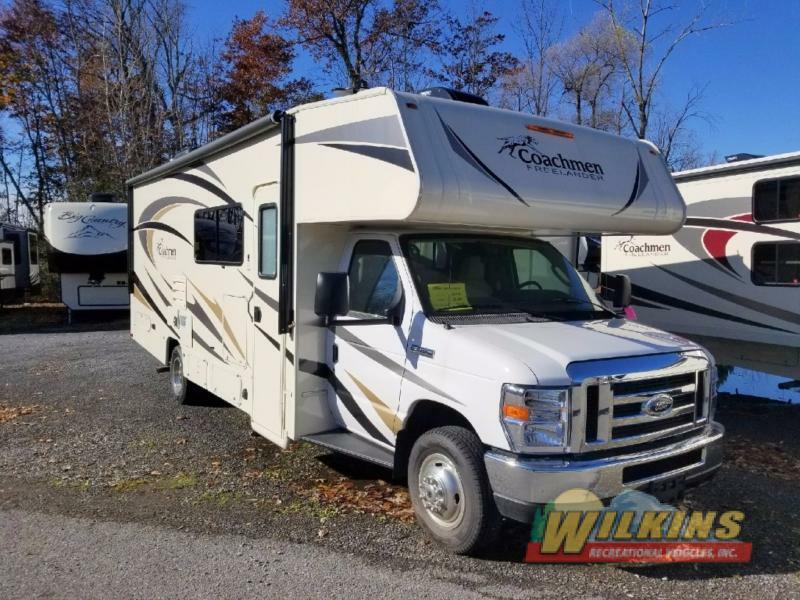 For the best choice in RV camping freedom, comfort and value, Contact Us about the new Coachmen Freelander for Sale at Wilkins RV. Let’s go for a test drive!